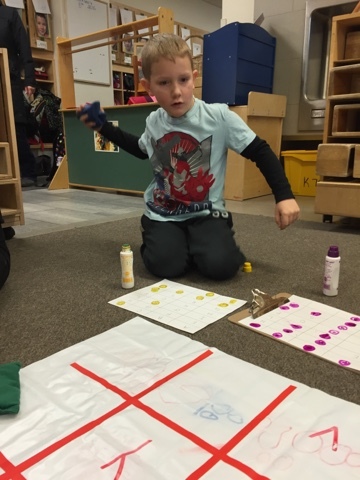 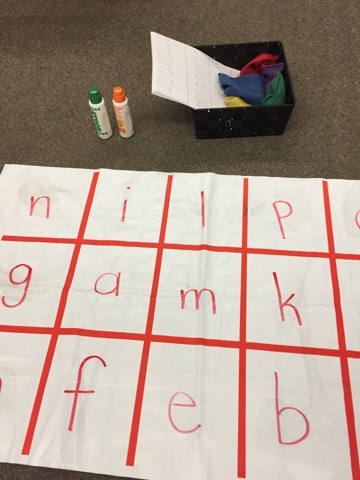 We played a game of alphabet bingo toss to encourage children to practise identifying and matching upper and lowercase letters. 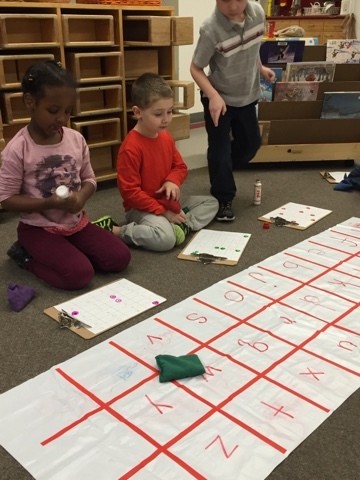 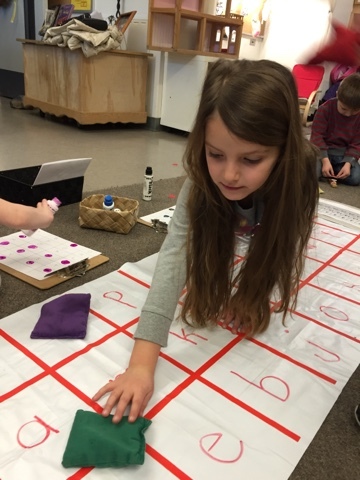 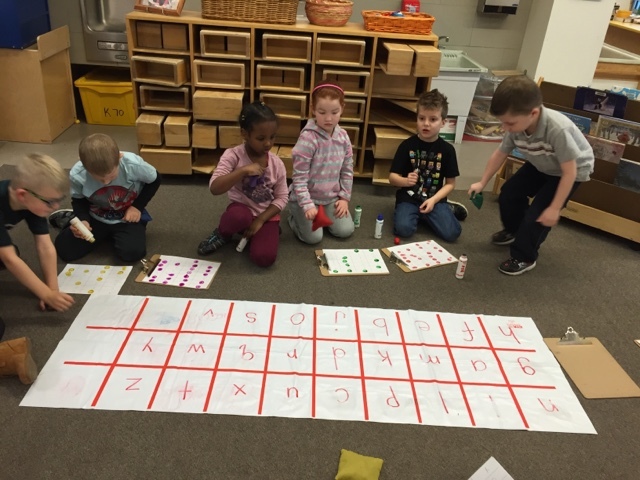 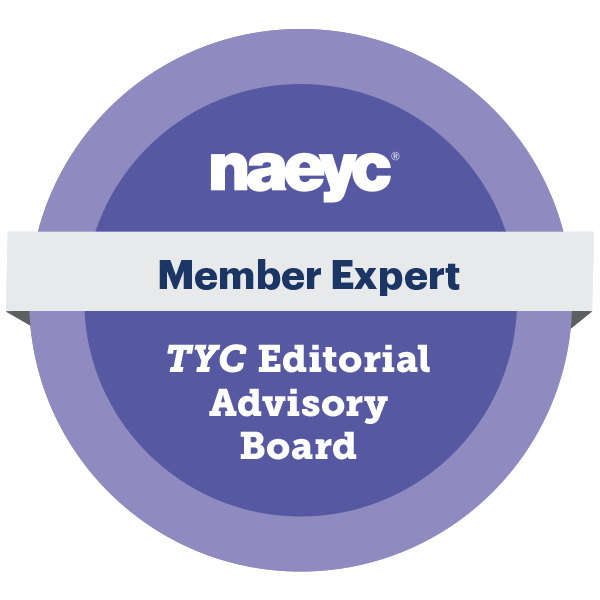 You need a large alphabet mat, bingo cards with all letters of the alphabet, beanbags, and stampers. 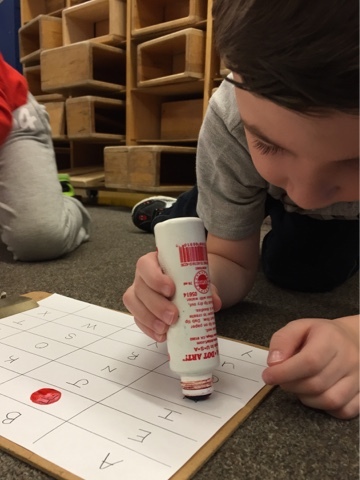 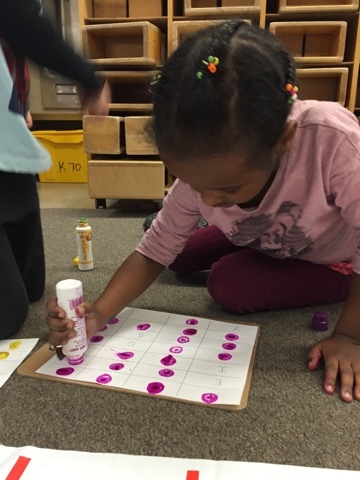 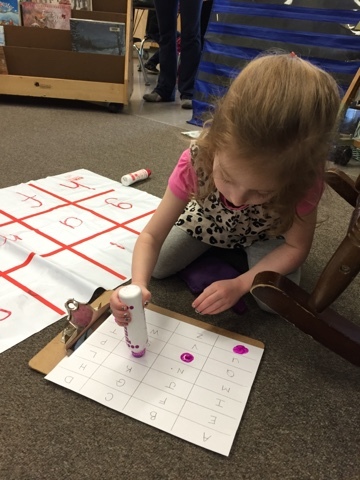 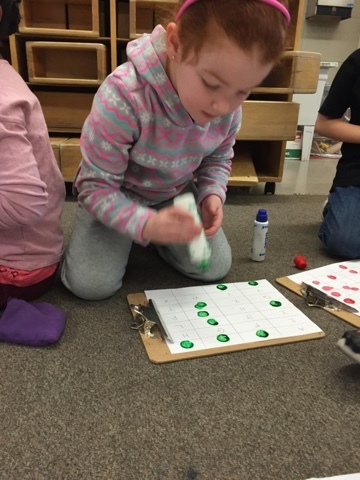 find the corresponding uppercase letter on your bingo card and stamp to mark it! 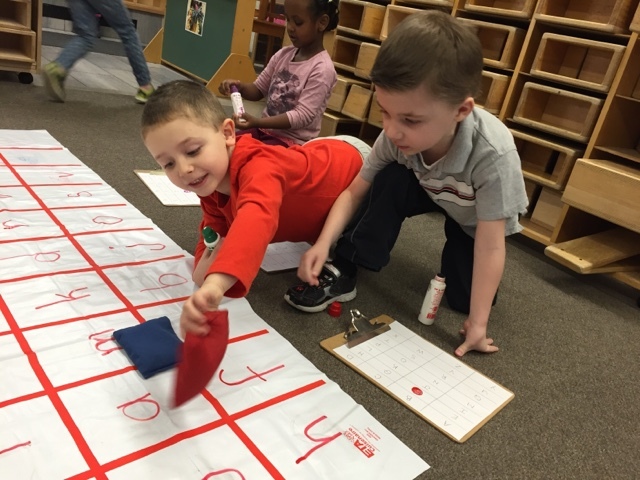 A fun way to kinesthetically practise our letters!